One of a Wedding Photographers prime photo opps, always is the Wedding Gown. How do I hang it? Where should I shoot it? Sometimes I find myself thinking to hard when the answer is very easy. This beautiful quite room right off the master fit the color scheme and feel of the Wedding day design so well it was perfect. With the lit fireplace and vibrant red couch. 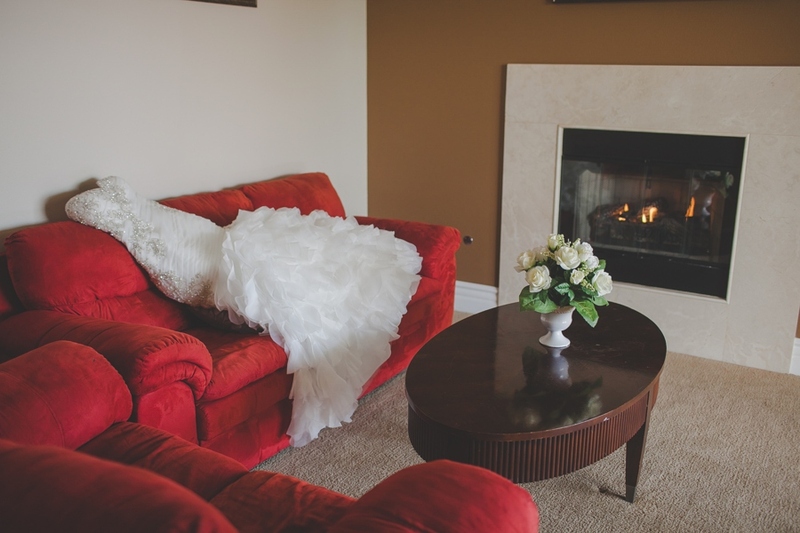 This elegant Wedding Gown draped beautifully across the couch and just looked amazing. One thing I love about Jackie and Mark was there down to earth attitude and movie trivia that just had us cracking up during their engagement session and throughout the Wedding day. Some people aren’t use to all the attention and glamour that may surround the Wedding day process. For Jackie I am sure this may have been true but once the Wedding Dress was put on she had a glow about her that was truly Bridal. Mark and the guys were all very laid back but their attention to detail as they adjusted their suspenders and ties was on point. With classy black suits and a subtle pop of red these guys turned into gentleman very quickly. At least comedically LOL. Mark is quite the Ham as I lean red later his whole family are just easy going, fun loving people. The first look is always a big question for anyones Wedding day. Jackie and Mark chose to do this inside the home they rented for getting ready. I am sure you can see why with this beautiful dramatic staircase. With big smiles and blushing moments this was a great chance to see the final result before heading to City Center on the Las Vegas Strip. Enchanted Florist did a lovely job with Jackie’s Bridal Bouquet. The Red and White floral was beautiful and looked so levant against her Wedding Dress. I must say this is a pretty sharp looking Bridal party. Black, White and Red were great choices for their colors and the Pops of Red from the heels to the neck ties, and laced around the bridesmaids bouquets was perfect. I love a nice blue sky with cloud coverage. And the Mandarin offered quite the reflection for these beautiful photos we captured before heading to the reception. Look at all these stunning members of this Wedding Party. Mark patiently waiting as Jackie’s Father escorts her down the candle lit walk way amongst her their guests. Between all the joking and sarcasm throughout the day. When the time came to look each other in the eyes and confess their love, you could see and feel what brought them here today. Every couple has something special that brings them to commit to these deep vows and promises. On this day if the one serious moment was this, then they gave everyone a glimpse into a personal side that most may not see. They truly are crazy for each other. I can’t get enough of the hundreds of candles throughout the ceremony and reception that left a beautiful soft glow of romance in the atmosphere. Enchanted Florist worked hard setting these up and the Ladies of Scheme Events worked hard making sure every detail was in place to set the backdrop for this beautiful Wedding. Thats a lot of candles to light! Seriously! This room was lit and on fire accented with Red Floral throughout. What team effort to put this together between Scheme Events and Enchanted Florist. Great job Ladies and I know we were all impressed. Jackie and Mark shared a private rehearsal of their first dance before guest were let in. Sometimes these intimate moments truly are a special time for any loving couple. As they prepared for what would be a most entertaining first dance. With a beautiful slow dance they quickly switched into an early 90’s mashup including many top hits of their youth. You can see how committed Mark was to this progression. Laughs and cheers rang through the air as these two started the party right. Not much beats a father daughter and mother Son dance. The reflection of any parents baby all grown up is truly an emotional moment for any loving parent. 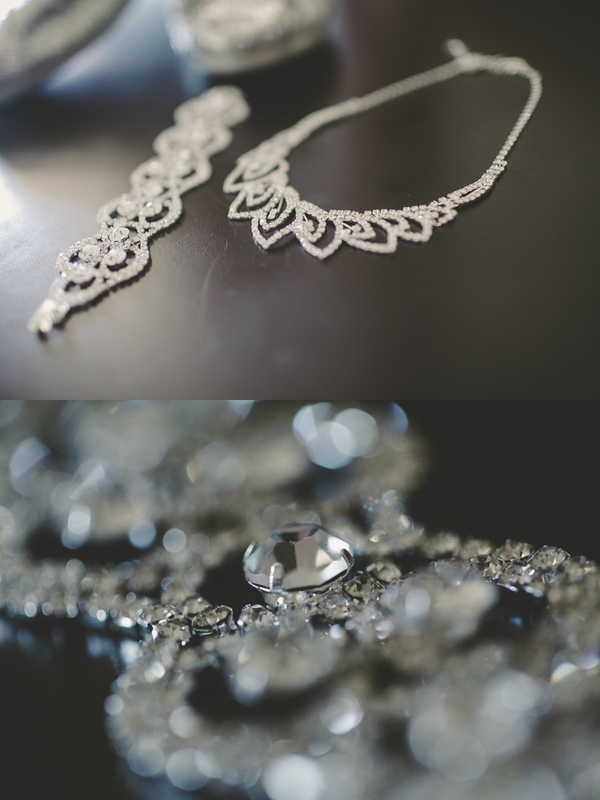 I must confess these are a couple of my favorite moments from any wedding. I love the parent dances so much. Gimme Some Sugar did a fabulous job as always withe their lovely treats and stylish cakes. Simple and Elegant with this beautiful cake. The Reception was anything short of entertaining. These families and friends got together and got down to business while All Night long Entertainment spun hits and kept the dance floor moving. Old Young and anywhere in between got down this night as they celebration went into the late hours. To see their Engagement Session in the Arts Factory and Downtown – Click Here!